Brooks Leather has a longstanding tradition of making classic motorcycling jackets for almost 60 years. 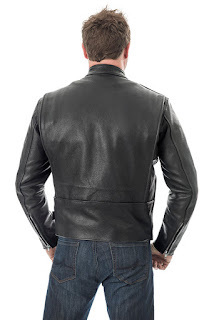 Made in the USA from the highest quality leather, the jackets are built to last. "Our philosophy is that these leather jackets are something to treasure and pass on. 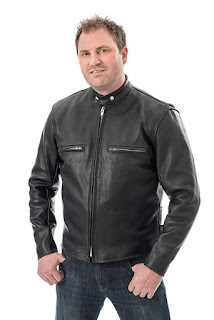 The iconic Brooks 511C leather jacket is the real deal, authentic down to the last stitch," says Jamie Goodson, owner of Brooks Leather Sportswear. Brooks was founded by Sandor Weiss, a Hungarian immigrant and shoe maker. Brooks started in Detroit in 1959 as a subcontractor for the Joseph Bugleisen Company (Buco). Sandor's entrepreneurial drive created an enduring legacy spanning 55 years of a family run motorcycle leather company. Their first release was the style 511 "Road Warrior" jacket, which is still manufactured by Brooks today. Goodson still has the first PJ27 jacket Brooks Leather made, proudly displayed in their showroom. The 511C was introduced in 1962, and it’s been a mainstay in the Brooks Leather collection for fifty-five years now. Made in the USA since 1959, Brooks Leather Sportswear's line of motorcycle apparel includes their old-school classics as well as new styles in imported gloves, textiles, rain wear, and racing suits. Brooks Leather offers a 10% discount to all Union, AMA, and active Armed Forces members. Brooks Leather quality leather sportswear can found through their national dealer network or online.